It’s been a while since I last wrote on this blog and this post will partially explain soma reasons. One of the things I learned from my few years in accessibility related research is that the needs of persons with disabilities are everybody’s needs. We just don’t usually get as annoyed as a person with a disability when for example we carry our baby on a stroller and there is no ramp to get into a building. most people can find a workaround. Persons with disabilities cannot! Or at least it takes more effort and time to do so. So providing solutions for accessibility in our everyday life does affect everybody’s lives. It can generally make our lives easier! Another thing that fascinates me as a trend is the check in apps trend. People nowadays feel more comfortable than ever to share their presence on a specific place. Tha led services like Facebook checkins, Foursquare and Google places to posses a huge amount of geographical information of public points of interest. So, today you can go to a place you’ve never been before and people living there or passing by have already taken care of telling you what’s around the next corner and even more. They are telling where you can find the best food, what’s the offer of the day, and much more related information about any kind of place. There is only one thing missing. How easy is the access to that place. What if I am carrying a huge suitcase, or cannot see very well, or just had an accident and my mobility is limited. There is a huge amount of access-related information that’s missing. Information that ould make our everyday lives become so much easier! … and that’s how Human Access came to life. At least the idea about it. The actual Human Access app took a little bit longer. Some months of coding and we are now proud to present our first mobile app. A new Greek start-up company with a team of people full of enthusiasm for new technologies and innovative ideas with the strange (for some) name “Caretta-Net Technologies” managed to finally make the idea come true. 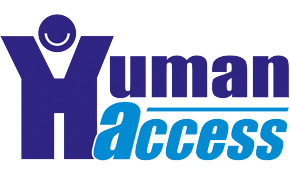 Human Access is now live on Google Play Store and you can get it and start rating public points of interest for their accessibility using (for the time being) a simple set of 6 attributes. This is only the beginning. We are now waiting for your help and feedback for improvements and features you’d like to see. We want this app to make everybody’s life easier but most of all we want it to become YOUR app. Tell us your needs… your bad and good experiences… inspire us to come up with even more attributes that will improve our lives. Because accessibility matters… even for young mothers! Our plans include a series of new features to come within the next months. For example, we plan to improve even more the look and feel so that you can understand which places are rated and how many users have rated a place, translation of attribute names and descriptions to major languages, improved search of places based on ratings, relieve reminders to rate a place when you check in on it etc. Even later, we are also thinking of integrating with Facebook checkins, combine statistics of Foursquare with accessibility ratings to produce “hall of fame” and “hall of shame” lists, and even suggest to you place that fit your needs. In parallel, we are going to develop our website to include relevant information on maps so that you can plan better your next vacation trip to Greece (or wherever you choose). And for those of you without an Android phone…. don’t worry. We are thinking of you too. You ‘ll just have to wait a little bit longer. However, what we most of all need right now is your help! Get out there and start rating! It’s for a good purpose and it only takes a few seconds! Spread the news and tell your friends about our cause. Inspire them and make them start rating too. Help each other make our everyday lives easier. We believe in you! I know I may sound over excited or too enthusiastic… but this is how we feel right now. A beautiful journey has just started and we want you to share it with us. You are currently browsing the A11y 2020 blog archives for November, 2013.